Thanks to the dry sterilisation process, Konings’ production operation does not consume a single drop of water, and can manage entirely without treating chemicals and generating sterile water. By Fritz Roels, sales, Krones Belgium. 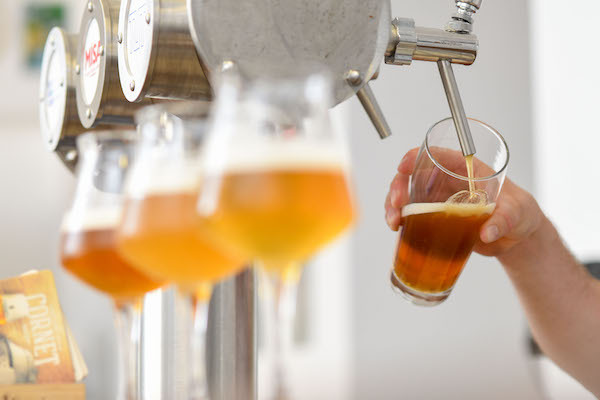 Juices, soft drinks, cider, beer, wine and spirits—in essence, everything except milk and clear water: that’s the highly diversified range of products made by Konings for other beverage companies. 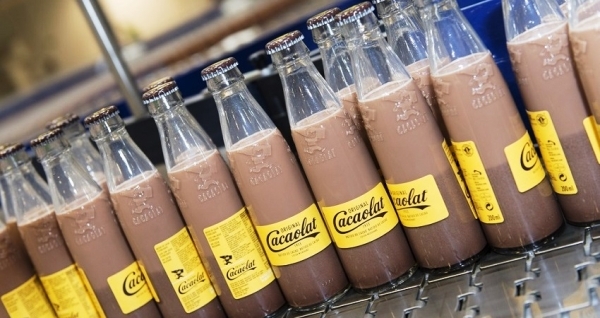 The Belgian contract-filling firm has about a dozen key accounts, for whom it is a one-stop shop: Konings handles either the entire beverage production and filling operations, or it fills the drinks as a co-packer. In a preliminary stage, the company also processes apples and pears at its main facility in Zonhoven, and ferments these to make ciders. After these have been produced, they are stored in a warehouse with space for 20,000 pallets. – Do entirely without house brands in the future, so as to be able To offer its contract-filling services more independently. – Expand into a producer and filling company for any kind of beverage. – Turn its back on short-term contracts and establish long-term alliances instead. – Upgrade its product portfolio by deploying new technologies. 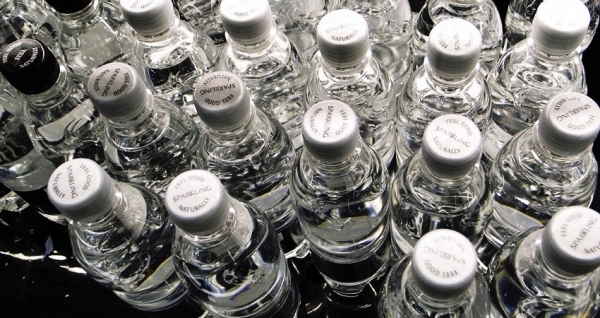 In four facilities at Konings, filling lines are up and running for returnable and non-returnable glass bottles, cans, cartons and PET containers. The sensitive juices, in particular, demand gentle production and filling processes: in the English plant, wet-aseptics had already been used, and in the Dutch town of Breda, two of these PET lines had likewise been running. But firstly, no blow-moulder had been integrated, and secondly, the sterilisation rate was a mere log 4. This means that it was only possible to fill beverages in the cold chain. 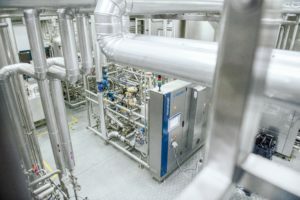 To be able to guarantee absolutely safe filling for all its customers’ sensitive beverages in future without adding any preservatives, the company decided to start using a dry-aseptic process from then on. As Luc Nulens, managing director of Krones, explains: “The advantages offered by dry sterilisation are manifold. Thanks to the high sterilisation rate of log 6, it’s possible to market the beverages outside the cold chain even when no preservatives are added. It was precisely for these reasons that Konings invested in a line from Krones. 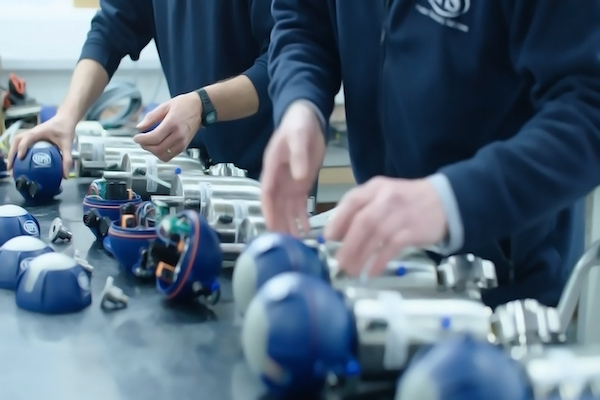 In this context, it was important that Krones, just like Konings, acted as a turnkey vendor and was able to supply the process technology involved as well—i.e. CIP and the product UHT system. What’s more, Konings also installed a stretch blow-moulder for the first time here. The new line has been up and running since January 2017, and includes a PET-Asept D aseptic block. It handles fruit juice, flavoured water, a whey-based soft drink, and a vitamin-enriched water. The latter had hitherto been hot-filled in Ireland in a 0.5-litre bottle weighing 27 grams. Together with Krones, Konings has now developed a similar-looking container weighing a mere 22 grams. Thanks to aseptic filling, the best-before period has been extended from six to nine months. The PET-Asept D process makes for absolutely safe filling of sensitive beverages without adding any preservatives. The sterilising agent used is gaseous hydrogen peroxide, which flows into the still-warm PET containers directly before they are filled. Thanks to this dry sterilisation process, Konings’ production operation does not consume a single drop of water, and can manage entirely without treating chemicals and generating sterile water. – A format change-over routine, including CIP/SIP cleaning, takes 2.5 hours. For comparison: the equivalent time for wet-aseptics is up to twelve hours. – Konings calculates 30 minutes for a product change-over pure and simple, without intermediate flushing, and the figure is a mere ten minutes when the only thing required between two different products is to drain the pipes. – Konings schedules one format change-over per day on average, and one product change-over roughly every eight hours. The new container is coated with an oxygen barrier. So as to guarantee an extended shelf-life, Konings is purposefully reducing the product’s oxygen content. To start with, water is de-aerated to less than 0.5 milligrams per litre. Then, it is placed in interim storage in a sterile container with a nitrogen overlay. Finally, it is treated with nitrogen during filling—here, the empty bottle is pressurised with nitrogen, thus preventing a vacuum in the container after filling, which would deform it. 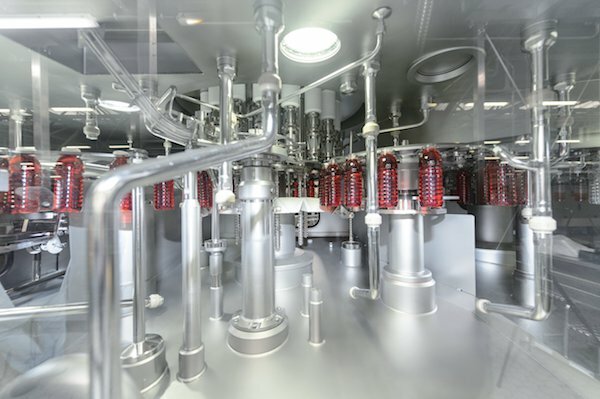 Thanks to the new PET-Asept D line, Konings has succeeded in tapping a new line of business: in future, the company can fill sensitive beverages without preservatives that don’t need to be kept in the cold chain.